Ruby is an interpreted programming language oriented to objects. It was created in 1995 by the Japanese programmer Yukihiro Matsumoto. It is a language that has more than 20 years and has been gaining strength with the passage of time. Ruby was created with productivity in mind because it minimizes programming. It also focuses on avoiding the confusion of experienced users, that is, one can easily become familiar with the language so that the more time you spend studying it, the less you are surprised. The syntax of this popular language has been inspired by Perl and Python, a feature that will surely facilitate the learning of new Ruby users. If you are reading this article, chances are that you are already familiar with Ruby and even consider yourself an expert. For you, we have selected the most popular frameworks for Ruby. Most are lightweight and perfect for beginner or intermediate users. However, this does not imply that they are not complete. We invite you to read this article and learn more about the various Ruby frameworks available on the web. It is one of the most popular frameworks for Ruby. If you are already familiar with Ruby it is likely that you have already heard about this framework or even if you are already using it. Ruby on Rails is an open source framework. The main objective of Rails is to favor the convention before configuration. Like many other frameworks, it specializes in decreasing the repetition of code. It requires a minimum configuration, so you can concentrate on finishing your project. Sinatra is a domain-specific language (DSL) to create web applications in Ruby easily. Sinatra is itself a bookstore, but due to its popularity we have included it as one more option in this list. In fact, some developers consider it a complete framework and it has served as a basis for the creation of other frameworks that we will mention later. With Sinatra, you can structure your application according to the problem you want to solve. Basically, you have a lot of control when working with Sinatra. This micro-framework has been developed with the inspiration of Sinatra’s DSL. It is characterized by being fast and requiring a minimum configuration. The purpose, for which this framework has been created, is to prevent the user from creating unnecessary lines of code. Also, when using Hobbit, you can understand the use of Rack and its extensions. Ramaze is a framework that allows you to simplify the simplest processes and offer solutions for more complex processes. It has been created so that you can program based on the MVC model. Ramaze has been online for a long time. So, now there is a large community that knows about the framework and can offer support. In other words, you can find answers to your questions more easily. Nancy is a micro-framework inspired by Sinatra and its name is only due to this fact. They even put the subtitle “Sinatra’s little daughter” on the official page in recognition of Sinatra’s influence on this framework. Nancy is a fast framework that shares certain functions that Sinatra also has. Without a doubt, it could be a viable option for you. Padrino is a framework that has been developed based on Sinatra’s web library. It is enough to take a look at Padrino to notice the great power of Sinatra and how it can be used to create frameworks. The ultimate goal of Padrino is to extend the functionality of Sinatra, so that developers can create more complex applications having a familiar environment (which is Sinatra). Crepe is a light framework that has been designed to streamline the process of creating APIs. It has an intuitive DSL that has been inspired by RSpec to make the creation of APIs much easier for you. NYNY is a framework that has the basic characteristics. Because each application created in NYNY falls into the category of “middleware”, it can be used in conjunction with Sinatra, Rails or any other application that has been Rack-based. It has the same interface for extensions as Sinatra, although not all of these extensions work correctly in NYNY. However, if you ever use any extension that has been specifically developed for this framework, it is unlikely to present problems when running on Sinatra. Ruby Grape is another micro-framework developed to complement other frameworks. You can use Grape to create APIs more easily. In fact, this is the main reason why this framework has been developed in the first place; to replace this functionality that has larger and more popular frameworks such as Rails. Celluloid is a framework that allows developers to create concurrent object programs as easily as creating sequential programs of regular objects. Celluloid can be used by both beginners and experts to create programs more easily. Hanami is a complete framework for Ruby that has a large number of features (in its official page they indicate that they have more than one hundred). Despite this, it is a fast framework that consumes a smaller amount of memory than other frameworks. Hanami has a minimalist design to optimize your level of concentration. That way, you finish the tasks that you must complete in a shorter time. Scorched is another light framework for Ruby based on DSL, like Sinatra. With Scorched, you can create websites and simple applications. If you have already used other frameworks based on DSL, then you can become familiar with Scorched. Cuba is a micro-framework for web development inspired by Rum. With Cuba, you can create applications based on Rack. You can also test and organize your code better. One of the main objectives of Cuba is that you can create web applications with as few files as possible. However, it is not only limited to applications; You can also create landing pages with Cuba. Camping is a framework developed under the MVC model. It is extremely light (4 KB). The idea behind the creation of Camping is that you can create the structure of an application and keep it in a single file. Since Camping is organized under the MVC model, that same application can be transferred to Rails to add the final touches or perform tests. Camping considers itself as a developed framework to experiment and learn Ruby. All the above frameworks are as good as Ruby. 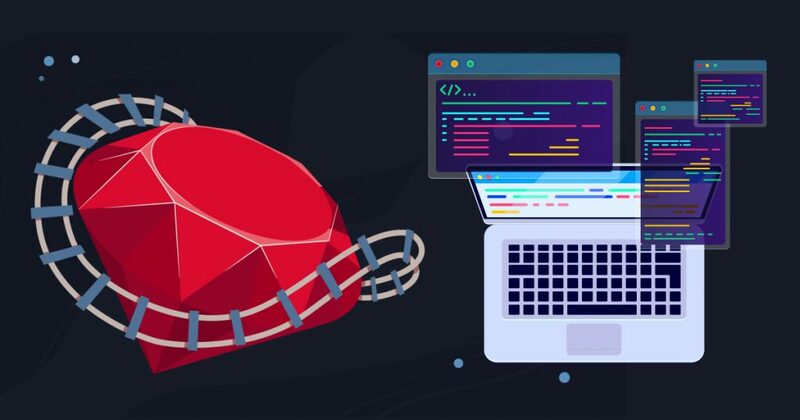 Before you hire a Ruby on Rails development company or a framework, we recommend you to understand your requirements in terms of these frameworks and make the right decision.